Have You Been Instagram Shadowbanned? 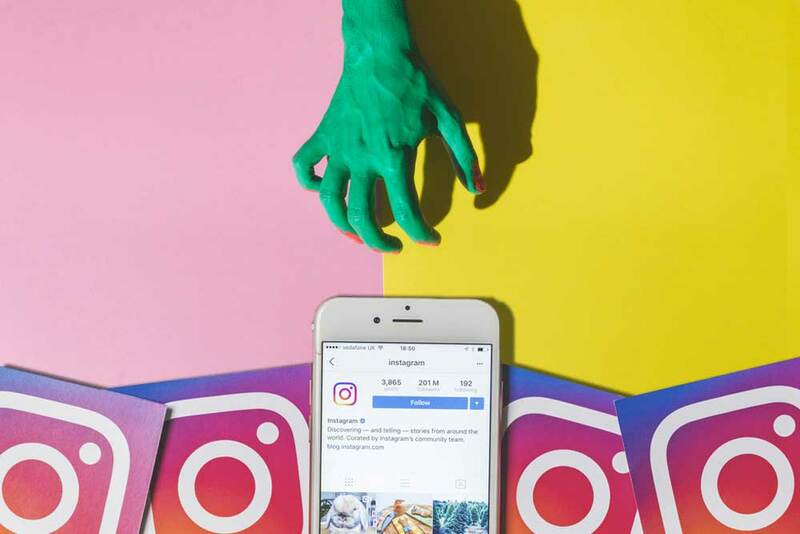 Everything you need to know about the Instagram shadowban. Have you been doing everything you possibly can to make sure that your Instagram post gets the most impressions and it just seems to be going nowhere? Or maybe you’ve been killing it on Instagram and recently noticed a sudden decline in engagements, even though you’re still posting similar content. 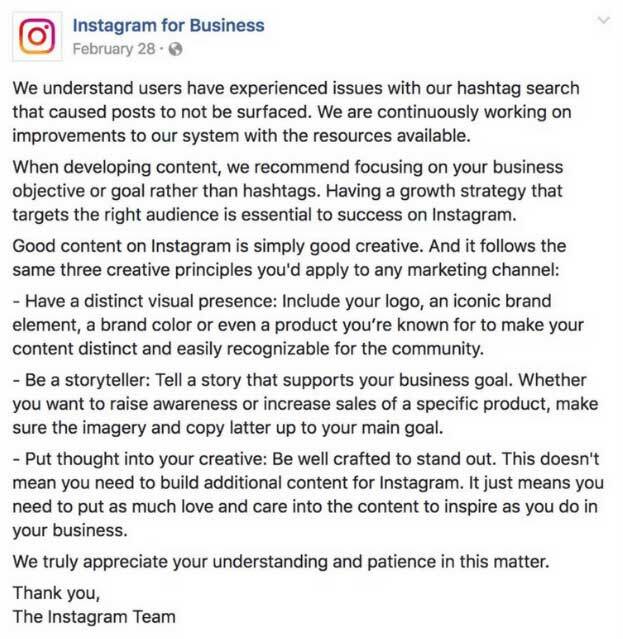 If these symptoms sound like symptoms affecting your social media marketing, you might have recently become a victim of the Instagram shadowban monster. Shadowban is the act of blocking a user from a social media community in a way where it’s easily recognizable to the user that they have been banned. Although this act has been around since 2006, it’s recently gone mainstream with the social networks, especially with Twitter and Instagram. How does shadowban affect your Instagram? It’s important to know that when dealing with Instagram, your shadowban doesn’t apply to your entire account level. If you are affected by it, it would solely affect the posts that you make. Having your Instagram posts shadowbanned means that your posts will not show up in search results for hashtags you’ve applied. Furthermore, the only people who may see your posts will be the people you are already connected with, thus making the use of hashtags on your posts completely irrelevant for growing your Instagram community. Why is Instagram putting a shadowban on posts? It’s no surprise that when Facebook bought Instagram, they would ultimately implement (what I like to call) their “algorithm-happy” strategy within a matter of time. According to Instagram, it appears they want to promote a constant flow of creative content and eliminate potential spam. However, there are multiple theories from various social media professionals, including trying to target and limit influencer accounts. How can you tell if your posts have been shadowbanned? It can be hard to tell from Instagram itself if your content is being banned. One method is to have a friend unfriend you and then look up whichever hashtag you’re targeting and see if your content shows up. An easier way to do this is by using this awesome shadowban detector tool we found online which claims to be 100% confident in the accuracy of the results. 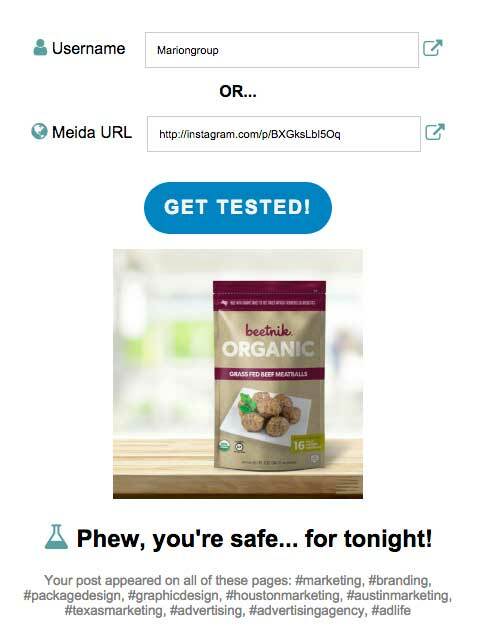 This is what happened when we used the tool with our own Instagram account. Help! I’ve been banned. What should I do? First, relax. It’s not as uncommon as it may seem and the good news is, with the right social media strategy in place you can redeem yourself by following these tips. Have you ever looked up certain hashtags in search of something, but kept finding completely irrelevant content? It’s a special kind of frustrating feeling, and Instagram doesn’t like frustrated users. In addition, using the same hashtags repeatedly on each post for months is a big no-no. Even if you are posting similar content, you should be rotating your hashtag usage, so each of your posts are unique in searchable terms. Also, it’s also important to make sure that you are never using hashtags that have been banned from Instagram. Be pre-warned; there are several hashtags that you might be surprised to learn are banned, like #adulting, #thought, and #TGIF. Many of these banned hashtags are NSFW, otherwise known as not-safe-for-work. Be human. Act like a human. Instagram has been particularly harsh on automation tools and bots. Many people and influencers were using bots to automate actions such as following and liking posts from accounts at all hours of the day so that they didn’t have to do it manually. Many of these services have recently been forced to be shut down by Instagram in efforts to continue to promote real authentic engagements. Even if you are not using bots, and automation tools for your Instagram account, you might be acting similarly without even realizing it. Are you following 100’s of people at a time? Are you commenting using single generic words like “Nice!” Or “I love this!” Believe it or not, you’re being “bot-like”. Switch your page to a personal account. Although it’s awesome having that big contact button on your Instagram page, we already know that Instagram and Facebook love to give business pages the shortest crayon in the box. It wouldn’t be surprising if Instagram is intentionally luring people to switch to business accounts with post analytics and a big pretty contact button in exchange for reducing organic reach unless businesses start investing in ads to reach keywords. Even though our dependence on technology is increasing each year, one thing seems to be a common denominator in all aspects of marketing. We are moving out of the B2C and B2B business, and into the H2H business, otherwise known as Human to Human. Humanizing the social media strategy for your business can be extremely time-consuming which is one of the main reasons why bots were created in the first place. Spending the extra time or working with a social media marketing agency to help humanize your marking efforts is the best practice for ensuring trust in your customers, and providing great long-lasting results.